When Mollie and Jim Crittenden dropped off their dog at an Anchorage boarding center in early December, they expected to pick him up about a week later. Instead, they picked up his ashes. The couple, who live in Turnagain, had been nervous to leave their 15-year-old bichon frise, Salty, at a kennel while they went on a trip to California. His sight and hearing were deteriorating, and he weighed just 13 pounds, they said. Because of his frailty, they usually brought him along when they traveled. “We didn’t feel like there was any place competent or qualified to take care of a little dog,” Mollie Crittenden said. However, bringing Salty along wasn’t an option for this trip, so the couple boarded him at Animal Daycare & Boarding, an East Anchorage kennel they’d used before. Jim Crittenden said the open environment there struck him as being more “humane” than other facilities. The facility, housed in owner April Warwick’s home, consists of a converted garage lined with dog crates. The crate doors are left open so the dogs can come and go as they please, and a doggy door gives the animals access to the backyard. For the most part, the dogs are free to roam. The drawback, the Crittendens said, was that their bichon would be boarded alongside larger breeds. That made them worry for his safety, but Warwick, the kennel owner, assured them she would keep a close eye on him and bring him inside the house and away from the larger dogs at bedtime, they said. “With the assurance that he was going to be watched and he would have the opportunity to play with other dogs, that was the best of both worlds,” Jim Crittenden said. A day after leaving town, the Crittendens received a call from Warwick, who declined to comment for this story. Salty had been killed by other dogs at the facility, she told them. 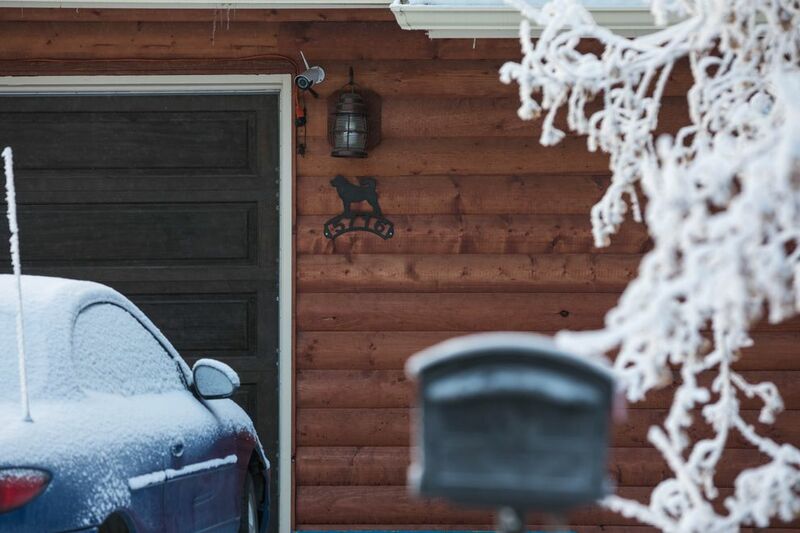 Eric Jonsen, the Anchorage Animal Care and Control officer who investigated the death, wrote in his incident report that Warwick heard a disturbance in the backyard sometime between 5 and 5:30 p.m, while the dogs were playing outside. When she went outside to investigate, she saw one of the dogs carrying something and shaking it, though it was too dark to make out what it was. When she managed to retrieve the object and get it back inside the house, she realized it was Salty’s remains. 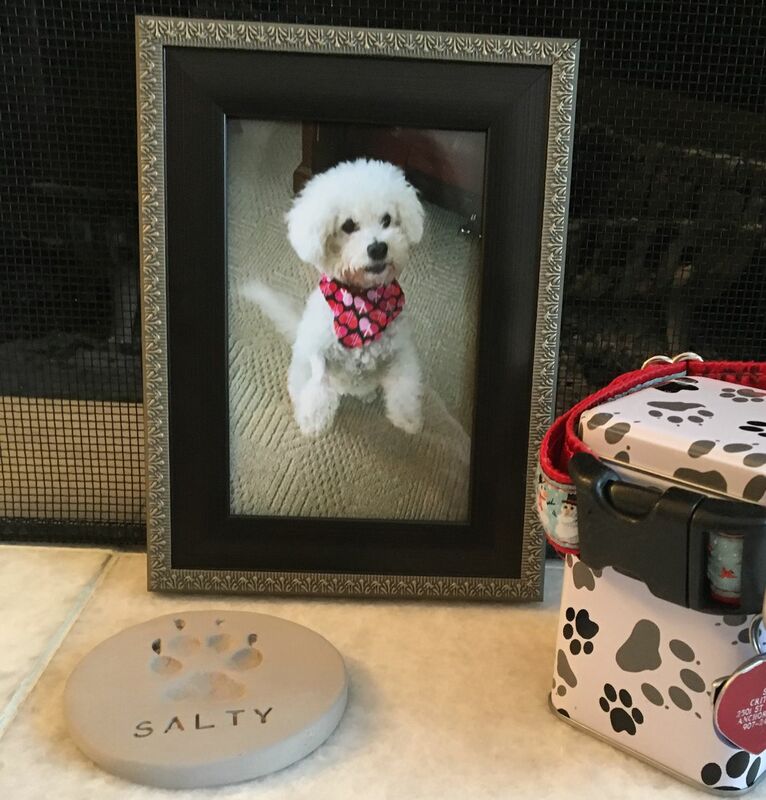 Since the Crittendens were still out of town when the call came, a friend picked up Salty’s remains and took them to a veterinarian to have them cremated per the family’s request. When they arrived home from their trip, all that was left of their dog was a small container of ashes, a footprint mold, a collar and a few photos. Jonsen was unable to determine which dog was responsible for the killing, although Warwick told him she believed all of the dogs may have been involved, according to the report. None of the dogs staying at the facility at the time had a history of aggression, Jonsen wrote. Animal Care and Control fined the dog day care center $100 for “facilities standards.” When asked which standards the facility had violated, Laura Atwood, a spokeswoman for Animal Control, pointed to a section of the municipal code that requires animal care facilities allow “for appropriate space, safe keeping, humane care and sanitary environment." “ ‘Safe keeping’ can be pretty broadly read as ‘the animal will not be injured or killed,’ ” Atwood said. Violent deaths like Salty’s appear to be rare in Anchorage kennels — Atwood said the agency is aware of only one other dog killed at an animal care facility within the last nine years. However, Kari Campbell, who owns a dog day care center in Midtown and formerly sat on the municipal Animal Control Advisory Board, said there are very few laws in place to prevent deaths. It’s easy for larger dogs to injure smaller ones, she said, and separating the two is considered a best practice in high-quality kennels. It’s not a legal requirement in Anchorage, though, and most best practices aren’t, she said. Animal care in Anchorage is regulated under Municipal Title 17, a document that spans more than 50 pages. However, the portion of the law that governs animal care facilities specifically is just under 200 words long. It includes basic requirements for regular feeding and sanitation, but it includes no specific safety provisions or training requirements. Campbell said this is in part because of how animals are viewed under the law. “They are by law considered property and not a living creature,” she said. Because the law doesn’t give any guidance on how to prevent injury or death, safety is left to the discretion of individual kennel owners, and those decisions often have very little oversight, Campbell said. Animal Care and Control inspects facilities once a year, but even then, the officers' priorities don’t always align with hers — officers don’t ask about her staff-to-dog ratio or how her staff are trained, she said. Jonsen, the animal control officer, wrote in his incident report that he made suggestions to Warwick for preventing future deaths, including “keeping large and small dogs separate, having someone monitoring the dogs, getting better lighting or taking less animals” — though none of these are required by law. “It’s like if driving regulations were ‘make sure your car has a windshield and can brake,' ” said Aurora Alexander, the Crittendens’ daughter. Anchorage animal facility licenses have few prerequisites, Campbell said. To qualify for a commercial license, a business owner must submit certain documentation, including a diagram of the property, a current business license, a statement from the applicant confirming that they’ve read any neighborhood rules regarding animal care, and a $150 license fee. The application process doesn’t require any formal training, she said. The Animal Daycare & Boarding website says Warwick and her partner, William Smith, have taken dog training classes and have dog CPR certifications. Atwood said that while Animal Care and Control has the ability to revoke a multi-animal facility license, it does not have the authority to revoke a facility’s business license. 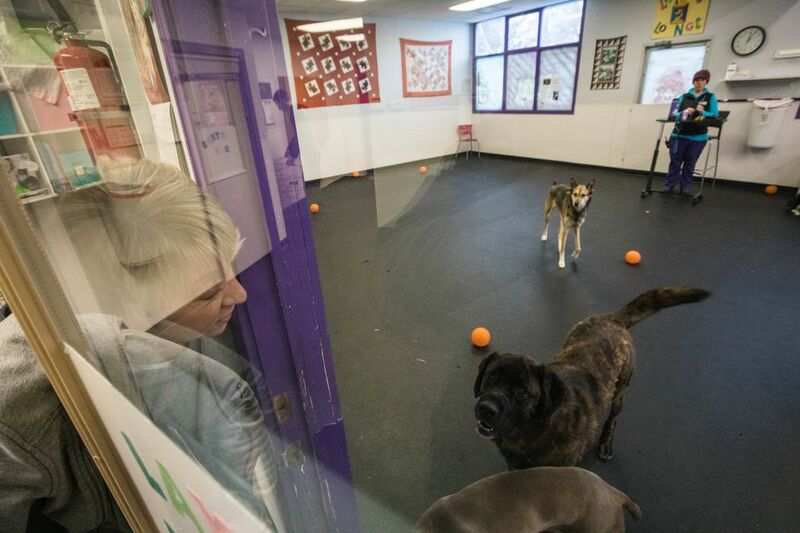 “When it comes to day cares and boarding facilities, there isn’t a lot in the code right now that’s very specific just for them," Atwood said. While Campbell said Anchorage isn’t unusual in its lack of regulations, some other jurisdictions have tightened their restrictions. State law in Colorado, for example, requires pets housed together to be “compatible," and a rule in North Carolina prevents dogs with different owners from being housed together at all without written permission from the owners. North Carolina also requires a “sufficient number of employees” for the number of animals being cared for. Both states require animal care facilities to separate aggressive pets from those they might harm. The Assembly is planning to introduce amendments to Title 17, some of which would affect animal care facilities — for example, owners would be required to provide lighting, timely veterinary care to injured animals and enough floor space for the animals to “turn freely and exercise normal postural movements." Anchorage Assembly Chair Eric Croft, who proposed the changes, did not respond to repeated requests for comment. In the meantime, animal care centers are responsible for self-regulating, Campbell said. A handful of industry organizations offer training certifications for animal care providers, and Campbell helps run one of them — she is vice chair of the Professional Animal Care Certification Council. 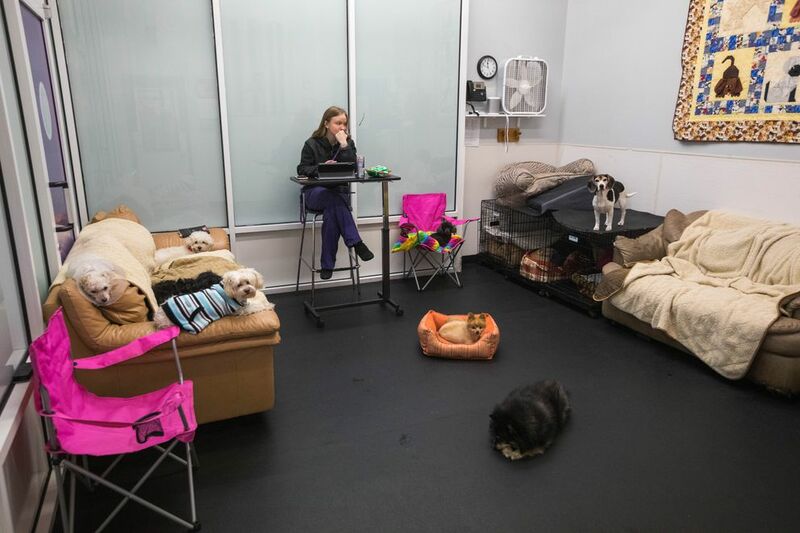 As far as she knows, though, her day care center, Dog Tired Doggie Daycare in Midtown, is the only facility in Anchorage that employs workers certified by the organization. That means pet owners have to bear much of the burden for ensuring their animal’s safety, she said. “The general public needs to know that there really aren’t any regulations, and so they should question who they’re leaving their pets with,” she said. Campbell said pet owners shopping for a boarding facility should pay close attention to how the lobby smells, how the dog breeds are separated, how staff members are trained, whether there are enough staff to care for all the dogs and whether there is someone caring for the animals 24 hours a day. In an email Warwick wrote to Officer Jonsen, which was included with the Animal Care and Control report, Warwick said she was planning to make changes to improve her kennel’s safety, like outfitting the backyard with a lighting system and additional surveillance cameras, hiring another full-time employee and separating smaller breeds from larger breeds. Editor’s note: This story has been updated to reflect which type of license Anchorage Animal Care and Control has the ability to revoke.